In our modern over-stimulated world, we believe it’s important to take time to disconnect from our screens and recharge. Being sucked in by a good read is a great way take a break from your phone. Every Getaway cabin comes with a selection of books, but just in case you want to bring your own, our friends at BookSparks shared with us their list of winter must-reads. Whether you prefer memoirs or thrillers, this list has the perfect book for you to curl up with when it’s chilly outside. In this heartbreaking new thriller from Christina McDonald, a mother is forced to come to terms with her daughter’s near-death encounter, while tracking down the truth about what happened to her. Abi has been told that her daughter attempted to take her own life, but when she finds suspicious bruises on Olivia’s wrists, she refuses to accept the police’s explanation. Things get more dire when Abi finds out that her daughter is not only brain dead, but pregnant, with doctors keeping Olivia on life support to keep the baby alive. Racing against the clock to find out the truth, Abi’s finding will reveal an evil truth no mother should ever have to face. The perfect winter read for Game of Thrones fans, Marlon James’s new novel brings readers a masterful mashup of fantasy, history and folklore. Tracker is a hunter who has always insisted on working by himself, but when he’s armed with a rag-tag search team and given the task of finding a young boy who has been missing for three years, he’ll come to find that this job will be unlike any he’s ever embarked on before. With the appearance of deadly creatures and deep-rooted secrets, Tracker realizes that finding the boy could mean life or death for him and his entire group. 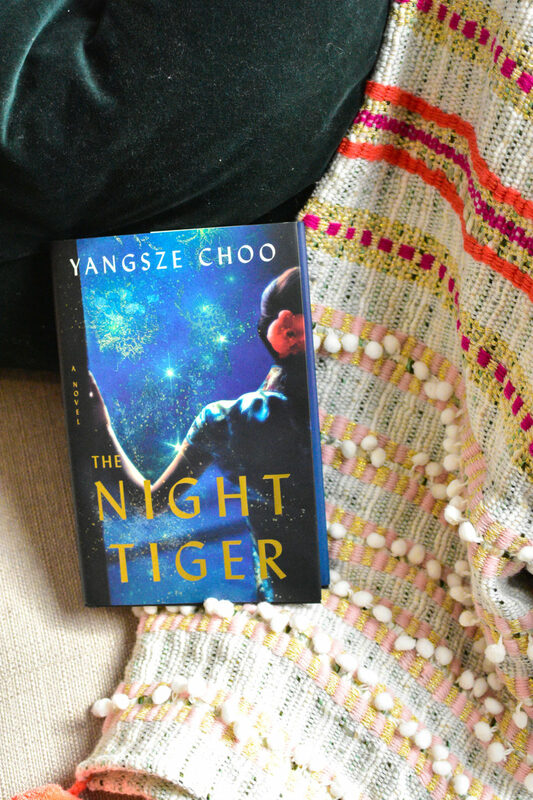 Two young and ambitious souls find themselves on a thrilling new journey in The Night Tiger by Yangsze Choo. Ji Lin will do anything to help pay back her mom’s debts and when she finds an unsettling item in the dance hall where she works, it sends her on the kind of adventure she has always craved. Meanwhile, 11-year-old Ren is doing his best to track down an item from his late master. As Ji Lin and Ren’s paths collide, they’ll learn the true devastation of love and the hope that can bloom in even the darkest of places. A mysterious and intriguing illness plagues the pages of this new release by New York Times bestselling author, Karen Thompson Walker. When a young college student finds that her roommate won’t wake up no matter how hard she tries, it becomes a case for doctors who can’t seem to get to the bottom of the mystery. As more and more people fall victim to this disturbing illness, everyone goes into survival mode, doing what they can to avoid the sickness. But as doctors monitor those who have been affected, they soon realize that their brain function is consistently increasing leaving everyone to wonder what the victims are dreaming about. If you’re a memoir fan and haven’t picked up Maid by Stephanie Land yet, it’s time to add it to your Amazon cart. This touching true story follows the life and trying times of a young mother who did everything she could to get by and provide a full life for her daughter. Leaving the idea of college and becoming a full-time writer behind, she took to working as a maid and taking as many classes as she could at night to further her journalism dreams. Through heartwrenching dedication and harrowing experiences, Land learned what it really means to be part of the working class in the United States. In this new memoir, Land details the horrors of trying to get by in America—a story that not many are brave enough to tell. Grab your favorite read, curl up, and lose time in its pages. The best place to do just that is right here at Getaway.